It seems like each new version of the iPhone that comes out brings with it more technology that makes every aspect of life easier. In spite of the best efforts of Apple, the one thing iPhones still can’t do is self-repair a cracked iPhone screen. The problem of cracked screens has plagued Apple engineers for years. The process they use to make the modern versions of iPhone screens produces the most resilient to date. Ion-strengthened glass is thought to be eight times stronger than the glass used early on in the iPhone era. In spite of the improvements the new glass has made, it hasn’t made it impossible to break. A hard hit still causes the glass to shatter. Since people still find ways to let their phones get away from them, cracked screens continue to be a common problem. The difference is that the screen isn’t likely to break into pieces and lose chunks of glass. So, for an older generation iPhone, a broken screen could mean trying to swipe across broken glass. For the newer models, it’s more a matter of what the crack covers up. Mobile owners damage their phones more often than you think from the most mundane methods to those that are downright extraordinary. It’s not really surprising that people frequently drop their phone into the toilet and end up with a cracked screen and water damage. There’s no better invitation to disaster than taking one hand off the phone. More interesting and entertaining to everyone other than the phone owner, includes stories of owners dropping their phone off of a roller coaster and jamming the ride’s motor or having their phone swiped by a black bear during a camping trip. Although some disasters lead to total destruction or loss of the phone, those left behind with minor to moderate damage often require little more than the replacement of a cracked iPhone screen. Not only are cracked screens a problem, but some experts consider broken smartphone screens an epidemic. It is probably inevitable that something we take with us everywhere we go will end up getting broken a large percentage of the time. That doesn’t prevent you from feeling embarrassed when it happens to you. Seeing that crack in the middle of your expensive iPhone screen can make you feel like an idiot. Just remember, it happens to lots of other phone owners every day. When it happens to you, don’t give up on your phone until you consider your options. A broken screen doesn’t mean the rest of the phone is damaged. Consider the cost and inconvenience of repair vs replacement before you head off to the iPhone store. First of all, you should definitely do one or the other. As many as one-third of all iPhone users are walking around with a cracked iPhone screen. Some have missing pieces of glass that allow the user to cut their fingers when they try to use it. Not only does a cracked screen distort your vision and pose a risk to your fingers, a lot of people consider a cracked screen a “turn-off.” A survey from “Singles in America” stated that 86% of women judge men negatively for having a cracked iPhone screen. Since both men and women iPhone users are much more likely to seek out other iPhone users, a cracked screen could have a huge impact on your efforts at meeting someone new! So why aren’t more iPhone users taking the time to repair or replace their damaged phones? One reason is that people who own iPhone6, 6s, iPhone7, or 7S are out of warranty. The expense of repair or replacement is one they must pay out-of-pocket. This isn’t a good reason to put off getting a repair since the damage is likely to get worse and a cracked screen leaves your phone vulnerable to other spills and drops. More damage leads to more expense. Right now, you can save a lot of money by having the screen repaired and keeping your phone vulnerable to other spills and drops. More damage leads to more expense. Right now, you can save a lot of money by having the screen repaired and keeping your phone. Another problem commonly cited by these people is that there are no local Apple Stores in their area. That means, the only way to have the company repair their phone is to mail it in and spend a long time waiting to get their phone back. Another reason some owners are in no rush to get their broken screens fixed is the thought of having to do without their phones while they wait on repairs. Finding fast repair service is virtually impossible in some areas. Many people rely on their phones for their jobs, socializing, shopping, and even balancing their checkbooks. Functioning without them places a real burden on them. As long as their phone is still usable, they prefer to manage with a cracked screen instead of waiting for weeks to get it back. Replacement is a faster option, but also a lot more expensive. If the damage goes beyond the cracked screen, your only option may be to buy a new phone. If it is new and/or under warranty, and it has more damage than the broken screen, Apple will replace the device for free. Coverage gets a little hazier when a cracked screen is the only problem. Apple does pay to repair a hairline crack if the phone is under warranty, but not if the crack is large enough to indicate that it was damaged from an accident. In other words, they will only repair a hairline crack that looks like it occurred from a factory defect. If the damage occurred from a fall or drop or the phone is no longer under warranty or covered under AppleCare+, then you will have to pay for the repair or the full replacement out of your own pocket. If you do have AppleCare+, then you will pay a service fee and any shipping charges for the repair. If there is other damage, you will pay additional costs. Some iPhone users just don’t want to go through the hassle of getting a cracked iPhone screen repaired. While some can’t wait to get the latest iPhone release, others are comfortable with the phone they already have. They have their data stored inside and they don’t want to take the risk of losing it. If you plan to keep using your phone until it just gives out, you are at a greater risk of losing your data than if you have it repaired. Will I Lose My Data and Photos if I Replace My iPhone Screen? You shouldn’t, but it is possible. Replacing the screen is a complex job that presents lots of potential for things to go wrong. This is especially true if you decide to attempt the job on your own. Even if the odds are minimal, you should take the time to backup your data before the repair. Actually, you should make it a habit to backup data regularly. Once the device is broken or lost, there is no way to get the info you have stored in it back. You can replace your iPhone but you can’t replace your memories. Just backup your device on iTunes or iCloud so you don’t lose your photos and other personal data. If you have an iTunes account on your Mac or PC, plug your phone into your computer and go to iTunes. If you have plugged your iPhone into iTunes before, just press “Backup” on the summary screen and the computer does the rest. If you haven’t previously plugged your phone in and completed the ‘Trust’ dialog, you will have to enter the passcode now before you can backup your info on iTunes. A cracked screen can make this more challenging if there are areas that don’t respond to touch. If you can’t tap in the passcode numbers, try to slide into VoiceOver mode using Siri. This option allows you to move the cursor over the screen and then tap it to enter the passcode. Press the HOME button twice. This will cause the passcode screen to pop up. Use the working area of your screen to move the cursor to the passcode numbers. VoiceOver says your selections out loud in case you can’t see through the screen. To select each passcode number, double tap the selection. Once the phone unlocks, use the VoiceOver feature to tap “Trust” into the dialog that pops up after plugging your phone into your computer. Once you have copied your data into iTunes, instruct Siri to “Turn off VoiceOver” or go to your settings to turn the feature off. On your computer, go to ‘Settings’, ‘iCloud’, then ‘Storage and Backup’ or ‘Backup’, depending on your device. Press ‘Backup Now’. If you don’t have enough iCloud storage to hold all of your data, you can purchase more. Once you have your repaired phone or your replacement, you can restore the data. Some people can’t resist any opportunity to turn disasters into do-it-yourself projects. After all, it’s a great way to save money and it gives you something to brag about to your friends. No matter how tech-savvy you are, you should never try to repair a cracked iPhone screen. The good news is that you can purchase a new screen online for as little as $20. The bad news is that the potential damage that you can do during a repair attempt could extend far and above the cost of a professional screen repair. Some companies offer do-it-yourself kits that include the screen, tables, tools, and instructions to do the repair. The price of these kits is $89.99, just under the price most repair shops charge to do the job professionally. Considering the potential for things to go wrong with a DIY repair, it really isn’t worth the risk to save less than $20 and possibly ruin a phone that costs hundreds to replace. Do iPhone Screens Crack More Than Those on Other Phones? It might seem that way but this perception is probably due to the large percentage of smartphone users who own iPhones. It is the circumstances that lead to a cracked iPhone screen, not the brand itself. The model of iPhone you use will make a difference in how the phone breaks and whether you actually lose pieces of glass out of it, but every phone screen has the same potential to break under impact. Once you decide on repair as your best option, the next matter is to decide where to get the repair. Going back to Apple isn’t always a practical choice or even the most affordable one. Amid complaints of long waits, Apple no longer voids the warranty on phones when the owner has a cracked screen repaired by a third-party service. 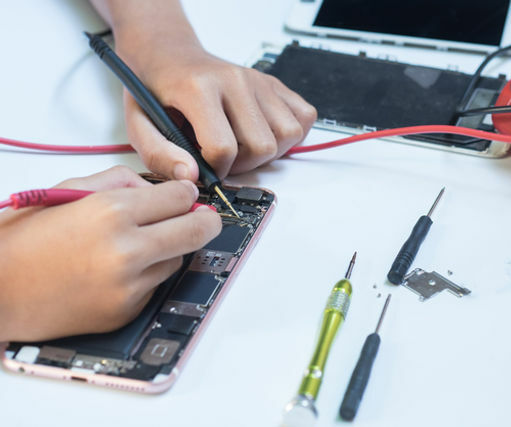 That makes it a lot more convenient to get your phone repaired quickly, but you should know what to look for to get the best results. When it comes to something as important to your daily life as your iPhone, you don’t want to leave repairs in the hands of a new company. Look for someone who has been around for a while and has a good reputation. A quick online search of reviews will tell you everything you need to know about the quality of work and service you can expect. Look for a repair service that specializes in iPhone repair, specifically in repairing cracked screens. You want someone who has the right parts on-hand and who will perform the repair in an efficient manner. Finally, consider the average time it takes the company to repair phones. The number of repairs they have to make and the availability of parts will make a difference in how quickly they can get the job done. Waiting to have parts delivered can take just as long as mailing your phone off to have the screen replaced. 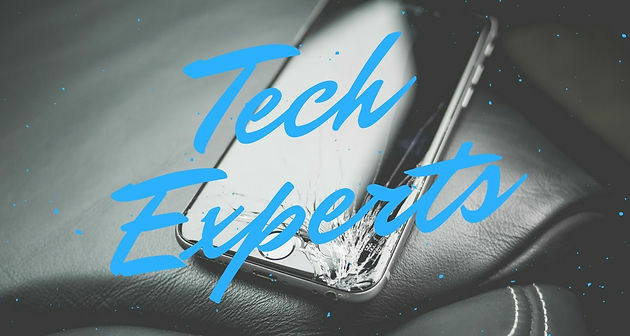 At San Diego Tech Experts, we understand how important your phone is and the impact of having to do without it for one day can have. We specialize in iPhone repairs, including cracked and broken screens. 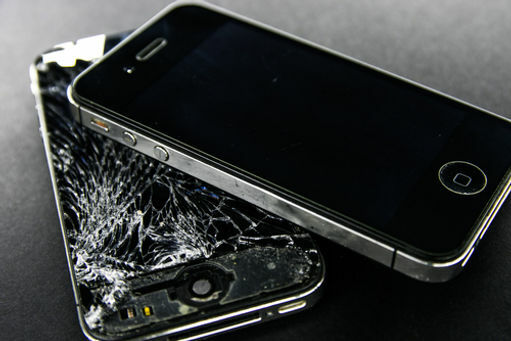 When you bring your iPhone to us, we can repair your cracked iPhone screen in less than an hour. We can fix 3rd, 4th, and 5th generation models. Give us a call today to discuss your iPhone problems or drop by our San Diego or Bonita locations. We are dedicated to helping you stay connected!